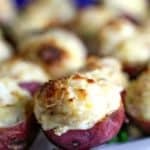 Nutty Gruyere adds a distinct flavor to these delectable Ham and Cheese Potato Bites that are stuffed with chopped ham and a surprising secret ingredient. 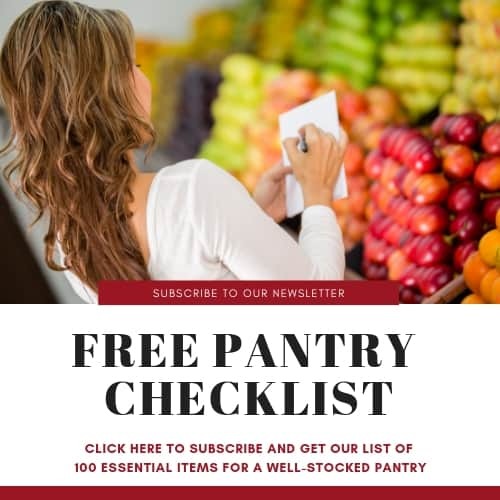 This time of year I love to browse through my collection of Christmas cookbooks for party appetizers and holiday menu ideas. I know, it’s pretty old school in these Pinterest days and I do my share of pinning, but I do love printed books and magazine that you can touch and feel and dog-ear the pages! 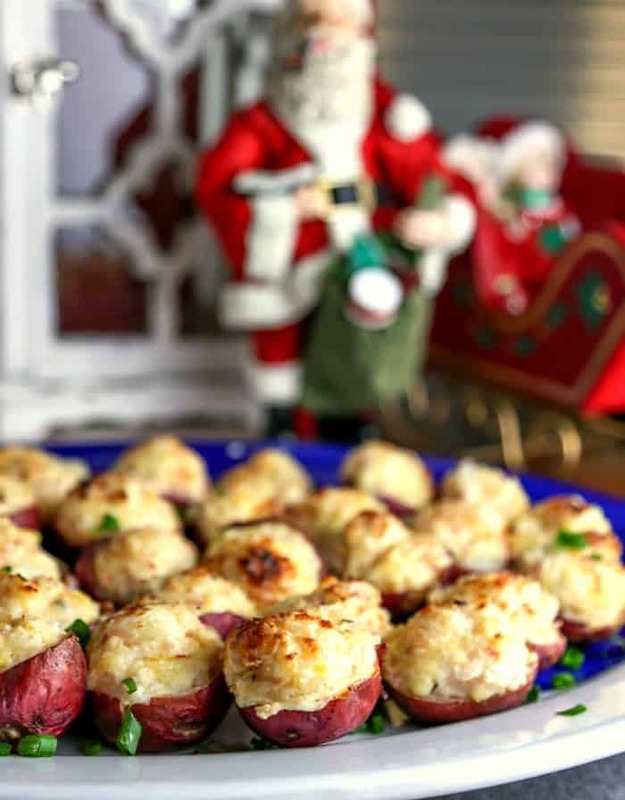 Just this past weekend, I pulled out my stack of Southern Living Christmas books and found this classic recipe from 1996 for Ham and Cheese Potato Bites, delicious little hand-held twice baked red potatoes. 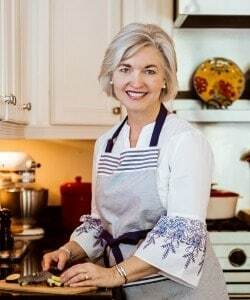 I made this recipe for the first time in 1996 when my Southern Living Christmas book arrived in the mail and have made them several times over the last ten years and they are always a hit. Just last weekend, I tripled the recipe and took them to our neighborhood Christmas gathering. My kitchen looked like I’d gone into the catering business! After baking the potatoes, simply slice them in half and scoop out the pulp to mix with the other filling ingredients. To make this process easier, I like to use a melon baller, but since I couldn’t find mine I used a coffee scoop instead. It’s all about being flexible around my kitchen! 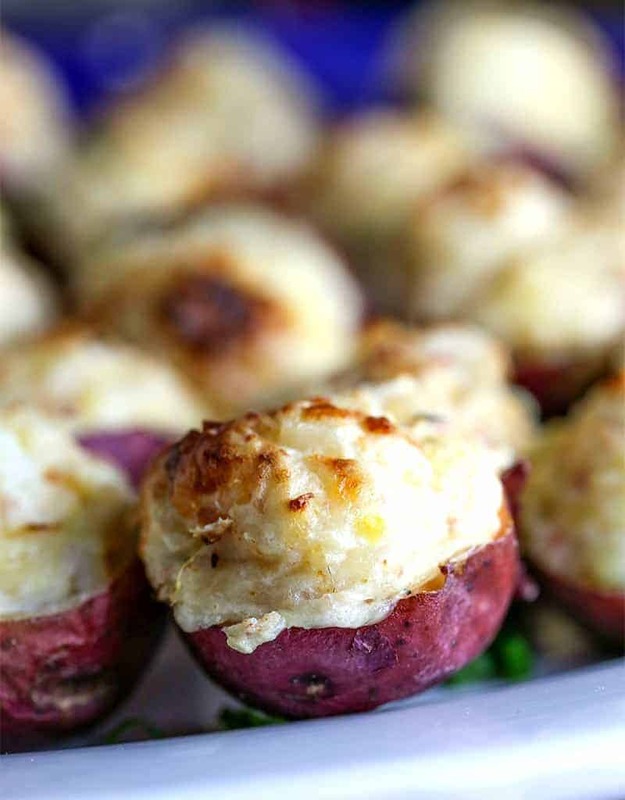 Typically, when you think about a potato appetizer, potato skins or some type of poutine comes to mind instead of a twice baked potato. 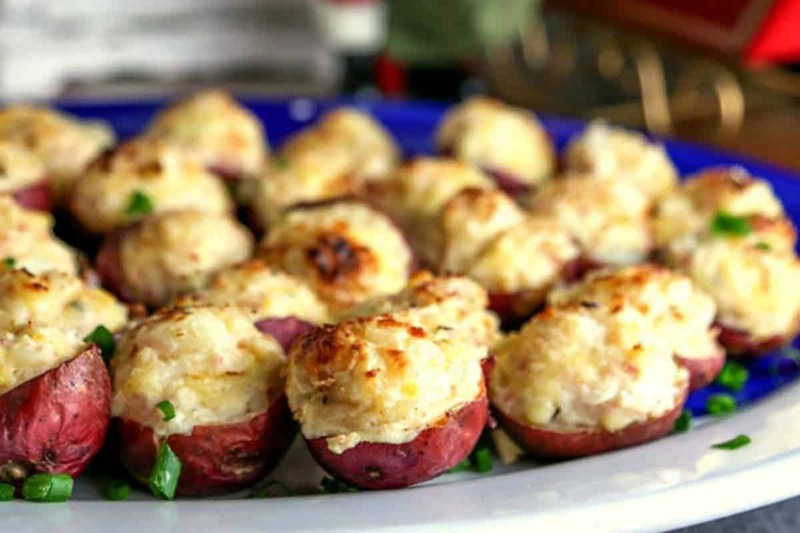 Using small red potatoes makes for the perfect size hors d’oeuvre, plus these little stuffed potatoes make an impressive party appetizer. Nutty gruyere cheese, along with the saltiness of chopped ham and the sweetness of crushed pineapple—the secret ingredient—combine for a distinctly delicious flavor! Preheat oven to 400 degrees. Place potatoes on a lightly greased cookie sheet and bake for 50 minutes or just until tender. Cool completely. Cut potatoes in half and scoop out pulp, leaving shell in tact. In a large bowl, combine potato pulp with remaining ingredients. 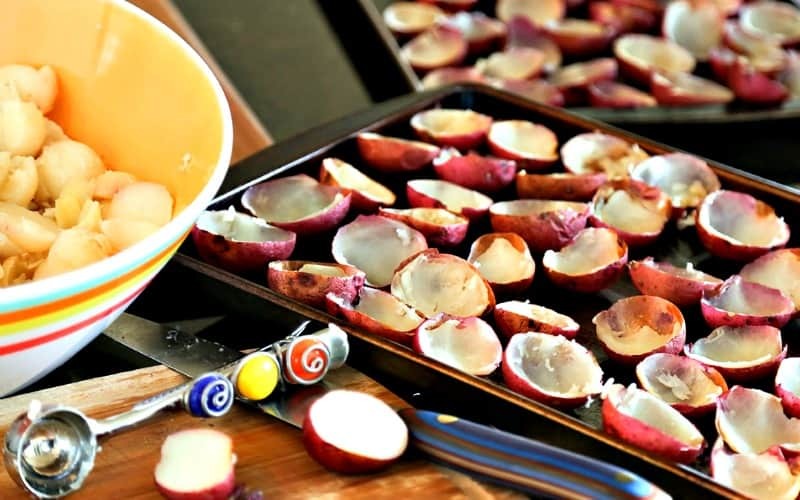 Spoon mixture into potato shells and place on a rack in a roasting pan. Broil 4-6 minutes, watching carefully, until bubbly and golden. I love going through old cookbooks too! There is something about the printed copy, and the stains marking which recipes are your favourite!!! These potato bites sounds delicious. Love the flavour combo of gruyere, ham and pineapple! These are definitely a ‘must-make’ appetizer!